It all started with racing mountain bikes back in the 1980s with the Fat Tyre Flyers (I actually raced with them - Ed). 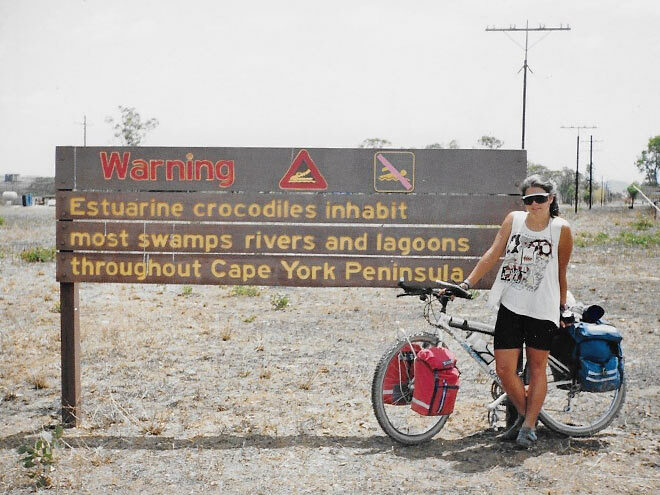 During this time Daniella rode around Australia around the Birdsville Track bike touring which was her love. She came back to Melbourne to study (as a chiropractor) followed by some more action packed activities in the Blue Mountains; rock climbing and mountain bike riding. While staying with Meg Carrigan, an accomplished mountain bike rider, she met her brother James Broadway, a road cyclist who suggested taking up road cycling. 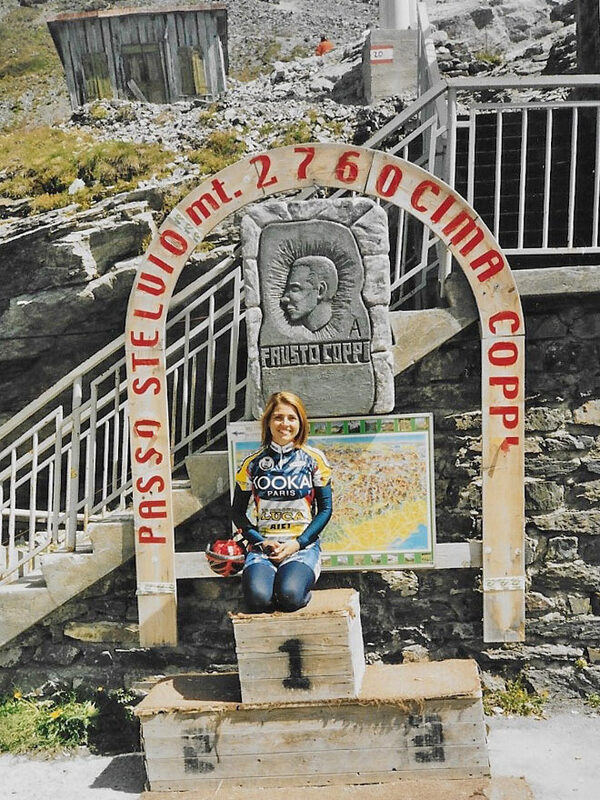 At the ripe old age of 28 Daniella moved to Italy in 1999 and as a cyclist took her bike across to a small town called Luca outside of Florence in Tuscany. The most memorable moments were doing these massive 150km training rides through the mountain passes followed by finding a local restaurant and enjoying a meal together. Then a women’s team, called Team Figurella, on the local Pro circuit invited her to join and race with them before being picked up by a bigger team called Aliverti. Unfortunately Daniella had a massive crash and broke her arm in 14 places and part off her spine. Two years later and riding again, Daniella returned back to Melbourne around 2003/2004 and began riding with the homicide squad doing the fun rides such as the Port to Port and Murray to Moyne fundraising rides. After falling pregnant with her first child she stopped riding, which had always been part of her life, but she wanted to give time to her kids and have balance in her life. Recently Daniella’s cousin is on the board of the Amy Gillett foundation and has been hassling her to do the ‘Share the road’ tour. So, after talking it over with her husband she hopped back on the bike after 8 years in late January and is absolutely loving it again. She never regretted the time spent raising her family but “geez if feels great to be back on the bike and at the end of the day I realised that I love it, whether it’s a mountain or road bike, racing touring, just being on a bike in all of its form”. “I love the competitiveness, the racing (recently participated in the local Northern Combine road race is Gisborne) but also the freedom of being on a bike. 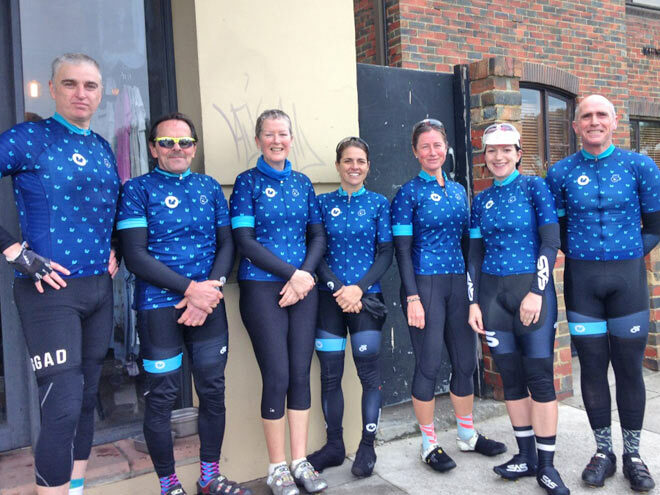 ‘I have joined St Kilda Cycling Club (SKCC) and join them 3 days a week including the ‘Secret squirrels ride’ with the St Kilda group.